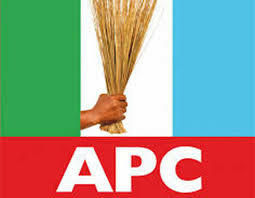 The All Progressive Congress, APC in Plateau State says the party remains committed to the strengthening of formidable institutions and the fulfilling of campaign promises according to its party manifesto. Chairman of the party in the State, Hon. Letep Dabang while responding to newsmen in Jos, the State Capital said the visible excitement on the faces of the generality of Plateau people since the Governor announced to the state, the creation, upgrading and restoration of diiefdoms that were reversed illegally by the immediate past administration is a clear indication that indeed he meant and still means well for the State. According to Letep, “chiefdoms were created and gazette having passed through all the right channels but were set aside by those who did not mean well for the state, today we can beat our chest and say this administration means well for us”. He assured that strengthening and emancipating the traditional institutions will engender peace as they are closer to the people and called on the citizens to give in their support as government continues to do more for the people. Hon. Letep Dabang further stated that Governor Simon Lalong has not disappointed the party by working inline With it’s manifesto as can be seen in the recent attraction of several people oriented projects to the state. “Approval for the reimbursement of over N20 billion (Twenty Billion Naira money spent on Federal Government projects by the State, approval of the sum of N348,000,000,000.00 (Three Hundred and Forty Eight Billion, Five hundred Million naira (N500,000,000) for the dualization of the Akwang-JosBauchi-Gombe Roads when Mr. President visited, the 45 kilometre Babban Lamba-Sharam Road awarded at over 19billion (Nineteen Billion Naira), the Pankshin-Tapshin-Gambar-Sarakai-Gindiri Road. The Mangu Dam Water Project at over 977 million (Nine Hundred and seventy seven Million Niara) among others are worthy of commendation to the present administration in the State. 0n the efforts of relocating displaced Plateau people, Letep Dabang said the Governor means well in that regards and that was why he set up a committee on relocation, resettlement and reintegration of people displaced from their homes as well as attracting a 10 billion (Ten Billion Naira) presidential palliative fund for the farming communities. He added that these tremendous achievements among so many has placed die party far ahead as we approach the 2019 general elections. The APC state chairman again reiterated that all members seeking election on the platform of die party shall be provided a level playing field as long as they abide by the party guidelines. Letep was then quick to add that the Party believes next the Governor will address the issues of development areas in the state because he part and played a key role in the creation of the development areas while he was Speaker of the House of Assembly.